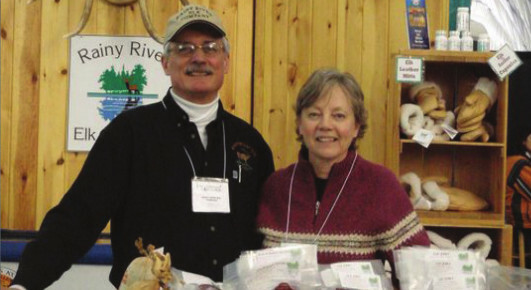 Rainy River Elk Company is a family farm business operated by Bill Darby and Deb Cornell. We are located near Devlin, Ontario, 15 km west of the Town of Fort Frances, in northwestern Ontario. We typically raise 45 elk calves per year and have about 120 elk of the farm. 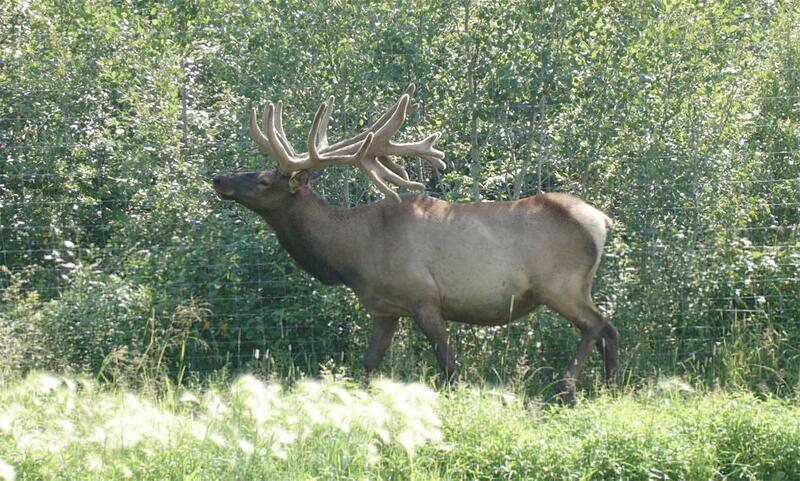 The elk are provided a comfortable, natural environment within fenced paddocks. They are on natural grass pastures during the summer and fed local round bales of hay through the winter. Grains are fed as a supplement and as a training tool. 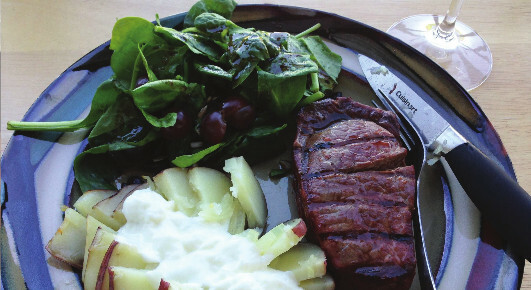 Elk is a delicious, full-flavoured red meat with a hint of sweetness. It is low in fat and cholesterol - a heart healthy choice. It is interesting to note that elk loin is lower in fat than skinless chicken breast. 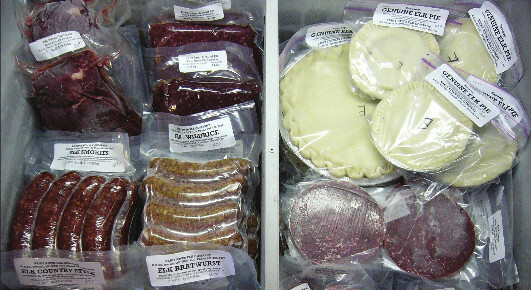 We carry a wide selection of frozen elk cut and smoked products are hugely popular! Our elk are processed at Ontario licenced meat processing facilities. You can find our favourite recipes on our website to get you started cooking with elk. We offer three colours of beautiful elk leather, natural, cork and black. A few elk rawhides are available each year. Shed antlers are occasionally available for purchase. Visitors are always welcome at the farm, but please call ahead. Tours are available upon request; the elk farm is a must-see when visiting the Rainy River District. Please do not hesitate to call if you have questions. We’d love to talk to you!